Bidhan Chandra Roy was 79 years, 11 months	& 29 days old age. Bidhan Chandra Roy was born on 01-07-1882 in Bankipore, Patna in the state of Bihar, India. He was an Indian Physicist, Politician, Chief Minister, Philanthropist, Educationist, Social Worker, Freedom Fighter, Architect, Writer & Author. Bidhan Chandra Roy, who was also the second honorable Chief Minister of West Bengal is still considered as one of the most praised freedom fighter and a great architect of Bengal as he found cities like Bidhannagar, Durgapur, Ashokenagar, Kalyani, and Habra. He completed his higher studies from a very renowned theMedical College Calcutta under the University of Calcutta and was able to take the degrees of F. R. C. S and M. R. C. P simultaneously. Roy’s early career marked his joining of Provincial Health Services just after the completion of his under graduation successfully. In the early months of 1909, he sailed for England in order to take admission into the most prestigious St Bartholomew's Hospital for his higher studies. He got selected into the College after he submitted 30 applications. He was able to complete the degrees in just two years and after that, he came back to teach at Calcutta Medical College. After a few years, he joined the civil disobedience movement. During the 31, when most of the leaders were getting jailed, Roy was appointed to be out of the jail and do the needful to run the movement of Dandi March successfully. After the independence of India, he was praised for his efforts in the civil disobedience movement. As a result of which, Dr. Roy’s name was proposed by the Chief Minister of West Bengal and he took office in 23rd January 1948. Dr. Roy was always about peace and unity and he always tried to unite people when communal riots were on peak after the independence to separate India and Pakistan. 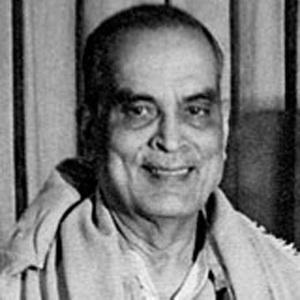 Bidhan Chandra Roy died on 01-07-1962 in Kolkata, West Bengal, India. He died on his 80th birthday. Born in Patna, Bihar Dr Roy was a son of Aghorkamini Devi and Prakash Chandra Roy and was always efficient and disciplined during the entire span of his school life.